This post was sponsored by Tai Pei and all opinions expressed in my post are my own. Tai Pei foods are excellent quality, easy to prepare, and a life hack in their own right. 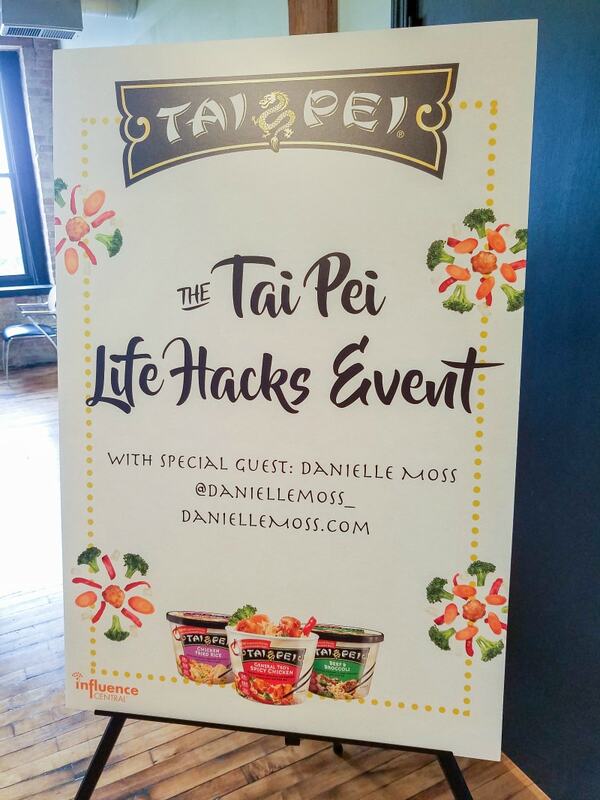 Last week I attended a fun event downtown with the people behind Tai Pei frozen foods and fellow influencers. 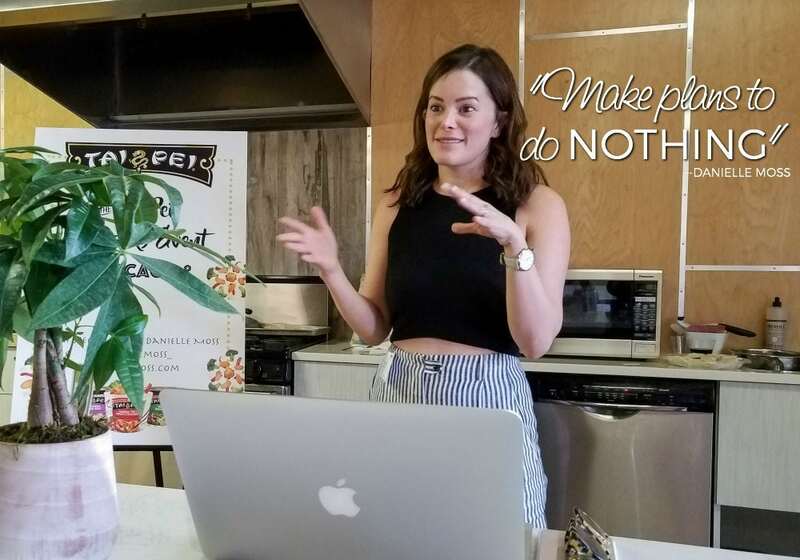 Special guest, Danielle Moss, talked to us about some life hacks she uses to stay on top of her busy life as a full-time professional blogger. I had already tried a few of the Tai Pei frozen foods and was sold on the brand. Attending this event only solidified my loyalty. We tried several other flavor varieties, and each became a new favorite. We also played games inspired by the new packaging–which is fantastic for eating while you’re out, in, or anywhere with a microwave. After heating for just a few minutes, you can conveniently eat right out of the little tub. Afterward, clean it and let dry to use for “Tai Pei Pong,” craft storage, building blocks, or whatever your imagination desires. 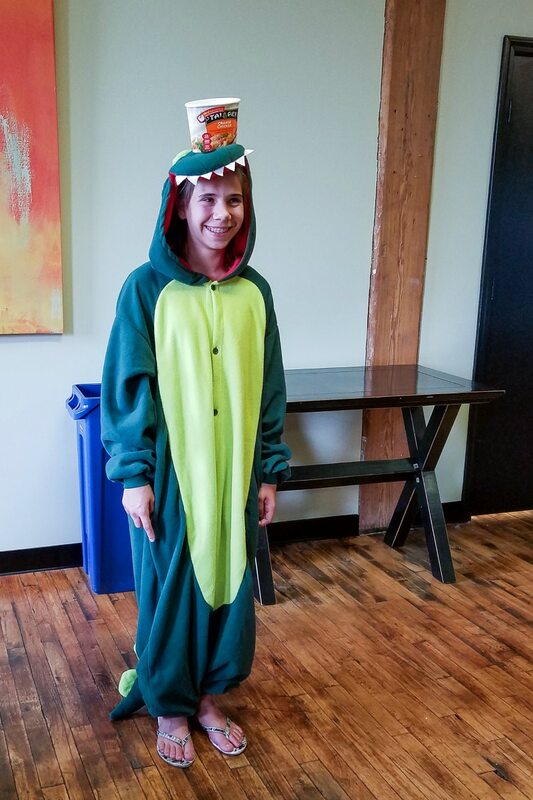 Simplify your options–with everything–from t-shirts to cereal, fewer options allow for easier decisions, less stress, and higher quality. She mentioned “capsuling” her life. She recently eliminated a lot of clutter and excess stuff and thanks to that she has a lot less stress. Have a plan–but not so rigid you’re a rude bore. “I don’t always know when I’m going to workout; I just know that I’m going to make it happen.” Rather than time blocking your every minute, give yourself a reasonable amount of things to do and do them. But if an interruption occurs, it shouldn’t shatter your entire day. Also, PLAN TO DO NOTHING. With such busy schedules, it’s imperative to make time to recharge in whatever way works for you. Sometimes that means doing nothing. Anything that can save you time–use it. Tai Pei foods, Unroll Me and Boomerang for emails, shopping in bulk if you have space–if it can save you a few minutes, use it, do it, and love it. Thanks to the wonderful options from Tai Pei foods, you can easily have a dinner and lunch covered every week. That’s two or more meals checked off your list of stuff to worry about for the week. Time is everyone’s currency. It’s the only thing we all have in common, and no one ever seems to have enough. In this world of option-overload and information coming at us from every direction, it helps to simplify what we can and learn to breathe through all the crazy-wonderful things this world has to offer. Try Tai Pei Foods Now with $1 Off Coupon! Definitely need to try out Tai Pei food. It looks really good and it would be a good option for a quick meal when I’m always on the go. I will be stocking my freezer with some of the Tai Pei entrees. They look yummy, and would be nice to have around for a quick meal. I love their new packaging, I have actually tried these before. I try to get some every so often to have a different sort of option to eat up in the home. 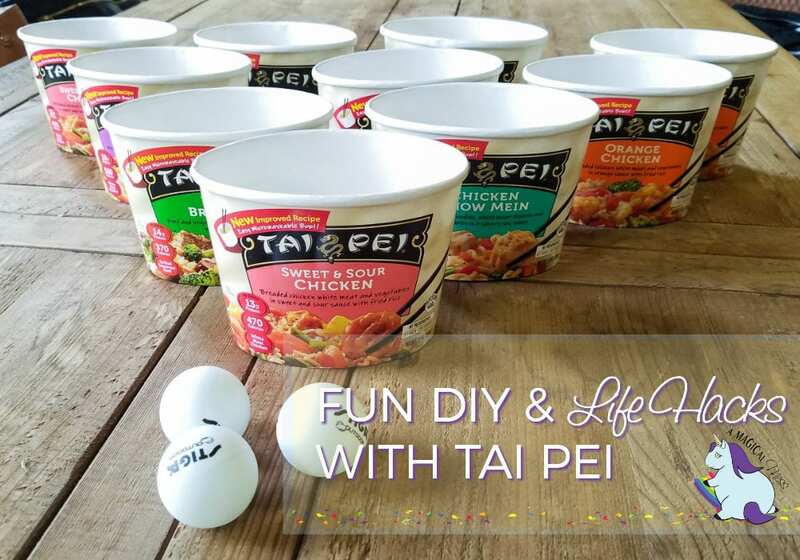 Tai Pei foods are super easy to make and taste delicious! My picky eater bores me to death. I love trying new foods and mixing it up. Thankfully, these are things that she will eat happily and without complaint! Stocking up on Tai Pei for all the meals! I work from home and there are so many times I find myself too busy to stop for lunch. These options from Tai Pei foods would be a fast, easy solution for sure. They all sound so tasty too!